Hi, I’m Daniel Klose, a freelance software developer, residing in Japan and specializing in the WordPress platform. I was born and raised in Germany and hold a Master’s degree in Business and IT from the Queensland University of Technology. 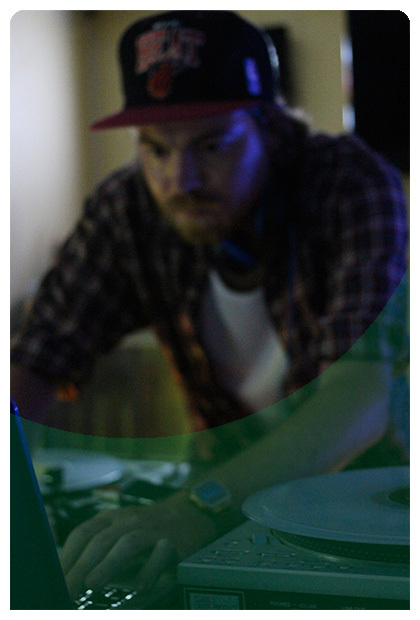 After graduating from university, I was hired by Berlin based music software and hardware manufacturer Native Instruments. During my work as a product and project manager I helped bring some of the most anticipated and successful digital DJ controllers in the world, come to life. In 2013 I moved to Japan to work as a freelance developer. 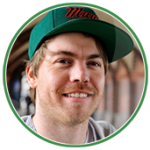 I am currently working as a developer on the Codeable Platform, as well as HootProof.de. I specialize in projects requiring programmatic integration of Advanced Custom Fields, WooCommerce, Gravity Forms, FacetWP, Polylang, as well as the development of custom plugins, themes, and external APIs using modern development techniques and frameworks. I am fluent in the German and English languages. I’ve worked with WordPress for many years and offer consulting services in Design, Development, SEO and Hosting. If you are in need of a custom plugin, or responsive theme I can help you with that. Following WordPress coding guidelines. You require SOAP, REST, or custom API integration into your web app, or site? Be it WordPress or else, I’m here to help. I have more than 4 years of experience as a Project Manager in Computer Hardware and Software Development. WordPress is a free and open source blogging tool and a content-management system (CMS) based on PHP and MySQL, which runs on a web hosting service (Source: Wikipedia). It is by far the most successful CMS system in the world. In fact every fifth website on the Internet is based on WordPress. You are on a WordPress based site right now! How can a WordPress Professional help you? As a WordPress Professional I can consult you on every aspect of a WordPress based web solution. I specialize in WordPress Design, Development, E-Commerce, Search Engine Optimization and Webhosting. If you are planning a new website, or shop and are tired of failing solutions I can help you setting up a WordPress based website. Everything runs on one system. It’s the ultimate integrated solution! What solutions can you build with WordPress? And the best thing about it is that you can build all of it into one website if needed. No multiple registrations for your web shop and your forum. Your customer simply logs into your site buys articles in your online shop and can give valuable feedback on your forum. Advanced Custom Fields is the professional solution to integrate custom content into your site. I use ACF on 9 out of 10 projects I am working on and have done so for many years. If you need help with custom content or adding features to an ACF based site I can help you. WooCommerce is the number one e-commerce solution for WordPress. I have executed countless customizations for the WooCommerce platform. 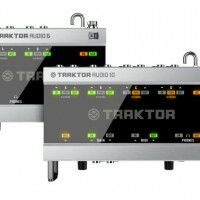 Be it custom plugins, gateways or modifications via hooks and filters I can provide reliable solutions for your needs. 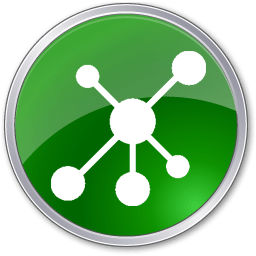 FacetWP is the modern way to filter content on WordPress. Both in general post types, or e-commerce products it allows the user to quickly find what he is looking for. I have integrated FacetWP on large scale sites with TV coverage and full cache support, so rest assured that you are in good hands. Multi-language used to be tedious and complicated in WordPress. Polylang fixed this. This is why I use only Polylang for multi-language projects nowadays, and you should too! Gravity Forms seems similar to many other drag and drop form builders, but what makes Gravity Forms truly unique is it’s related Api. So if you need to programmatically take action when a form is being submitted I am able to help you with that. Be it the communication with external Api’s or the conditional execution of WordPress functions, almost everything can be achieved. What is a plugin / theme? The WordPress platform basically makes use of three pillars, which are WordPress Core (the WordPress software itself), Plugins and Themes. WordPress Core is managed by the WordPress team itself and provides the framework for a WordPress based site. A WordPress Plugin is a custom written software that extends the functionality of WordPress Core. Famous WordPress plugins like the WooCommerce e-commerce solution for example, allow you to create your own online shop right within WordPress. A theme on the other hand is not necessarily meant to extend the functionality of a WordPress site, but defines the look of it. This is why a WordPress website is not immediately recognizable as a WordPress website, but can look like no other website on the internet. Why do you need a custom plugin / theme? Whilst the WordPress plugin and theme databases hold numerous free plugins and designs, a custom design or functionality is often required. I can help you with the modification of your existing design, or turn an existing website into a WordPress site. Do you need a special functionality for your website, like for example add a user to an internal database when he sends you a contact message? This is exactly what plugins are meant for. Or, do you need to make your website accessible via mobile phone? A custom theme allows you to present your companies website beautifully, to mobile users. Want to see some of my code? What is an External API? An API (Application Programming Interface) allows a software developer to interact with another piece of software programmatically. For example, imagine you would like to always show the latest exchange rate for EUR and USD on your website. Without an API you would need to continually update your website manually and enter the latest exchange rate. But if you would use an exchange rate API like Fixer, the rate can be automatically updated on your website. There are countless APIs available on the internet for almost every use case, waiting to be used in a project. Need help with API integration? There are so many possibilities out there to incorporate API’s into your website or web app. Please get in touch if you need any advice or help with it. Before starting out as a freelance WordPress developer I was a full time Project Manager with Native Instruments, Berlin. 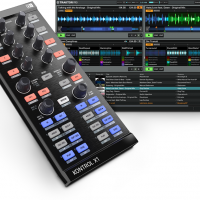 Native Instruments is a developer of Musical Instruments software and hardware, with a focus on modern electronic dance music, urban beat music and film soundtracks. Besides their successful music production segment, they also run a DJ segment, developing the world leading DJ software Traktor and several DJ performance oriented hardware controllers and audio interfaces. As a project manager I was responsible for the development of several products in the DJ segment. During a development phase (which usually takes about one year per product) I worked with different teams of product designers, software developers, industrial designers, electrical engineers, mechanical engineers, supply chain managers, product managers, marketing managers, graphic designers and contract manufacturers. The ultimate goal for a project manager is to deliver a product on time, on budget, and according to specification. This is also known as the Triple Constraint. As an experienced project manager I can help evaluating the project and identify the constraints, risks and opportunities. Project management helps to minimize the risk and increases the accuracy of a projects expectation. You might think that project management is only relevant for large scale projects. This is not entirely true, as even a one man based project can run smoother when project management skills are applied. However, once a team of specialists have to work together, like on a medium sized website project, professional project management helps to save money and time, always! Get in touch with your professional Project Manager! If you are planning a new website or would like to rework your existing one, please don’t hesitate to get in touch with me! I am looking forward to work with you. 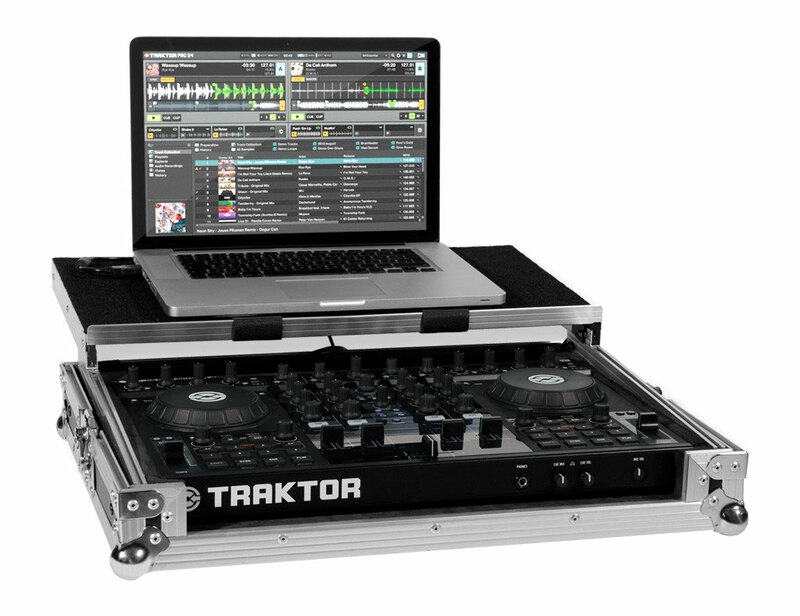 My first project was the Traktor Kontrol X1 in 2009. 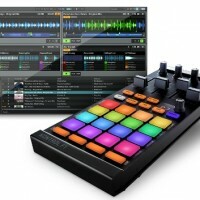 It became the standard controller for the Traktor DJ software and sold many ten thousands of units. It is now discontinued and was recently replaced by the new model, which was also managed by me, until I left the company. 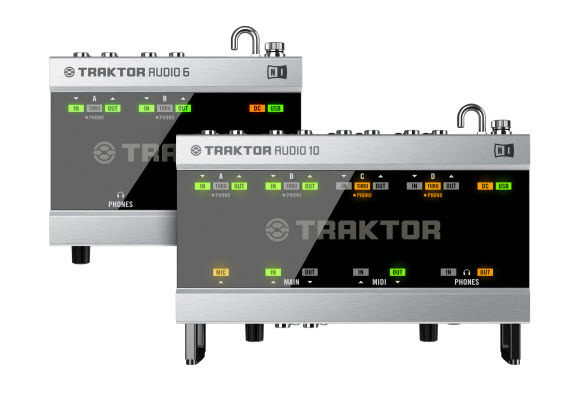 The Traktor Audio Interfaces deliver world-class audio performance in a sturdy metal housing. The requirements of a DJ towards his audio interface are high to say the least. The high end XMOS CPU drives the 10-channel audio, at a high output volume. And everything is designed run off of standard USB power. 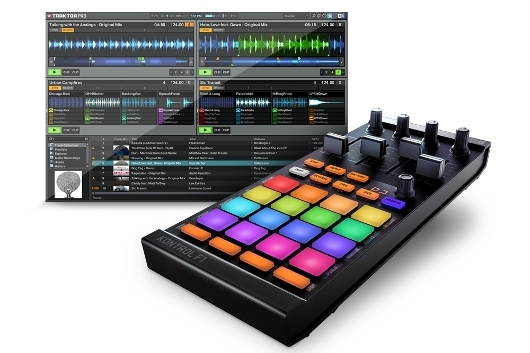 The Traktor Kontrol F1 is a portable controller intended for remixing and mashing up music, live on stage. 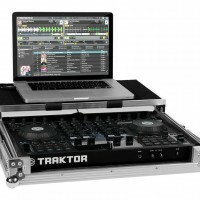 The project required intense coordination work with the Traktor software team, as features needed to specifically be developed for the use with the Traktor Kontrol F1. 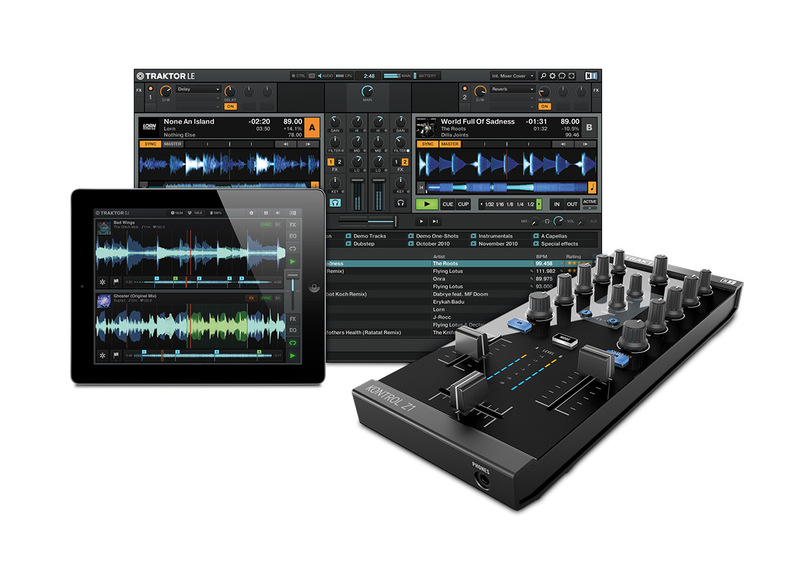 The Traktor Kontrol Z1 was the first controller developed with full Apple iOS support within the Traktor DJ software. 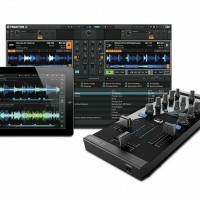 The device is capable to be used with a traditional PC, or Mac, but can also be connected to the iPad, or iPhone and serve as a digital mixing controller – all approved by Apple. 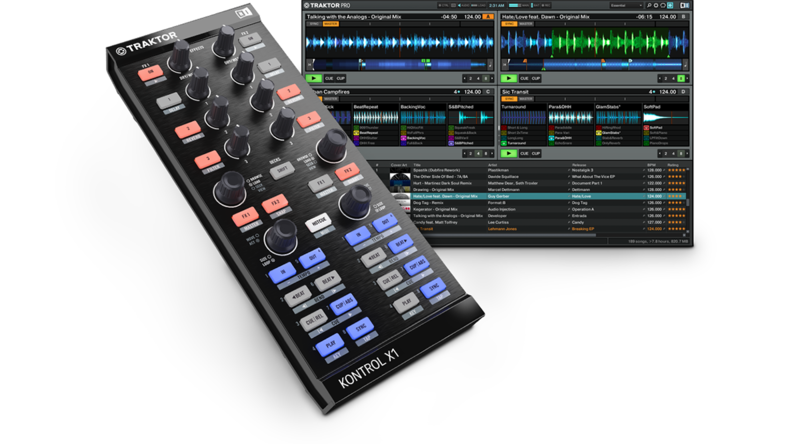 When updating the Traktor Kontrol S4 we took special attention to the details. 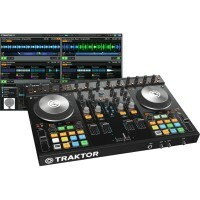 The old Traktor Kontrol S4 is a legendary DJ controller and the team and me managed to make it better, at a lower price point! Besides computer hardware I also managed accessory products for Native Instruments, including bags, cases, cables, vinyl records and more. Are you looking for a WordPress developer that not only gets the job done, but is also able to work in (or even manage) a team? Are you sick of engineers who throw around technical terms, only to avoid the communication of a missed milestone? Do you need fast results, but don't have the time to specify every small detail? Daniel can always grasp the overall situation, and focus on key events. He has an extraordinary ability to understand requirements, and comprehend the connotation of what we want. I strongly recommend Daniel for all levels of project management. It was always a pleasure to work with Daniel. He always managed to track all the loose project ends and kept everything well together.